Cashflow planning is a bit of a buzz phrase around financial planning at the moment as advisers seek to show clients how their financial journey will unfold if it continues its current trajectory or with positive and negative impacts. In my mind, cashflow planning is simply showing whether a client’s objectives are attainable using current and future assets and monies – with the goal of helping them lead the lifestyle they want to lead and not running out of money. It is a concept that has been around for a long time, but one that’s gathering pace as a tool in a financial planner’s armoury and Wren Sterling has committed to using cashflow planning with our clients. Understanding where a client is in their life and where they want to get to has been the cornerstone of financial planning for a long time. Since the proliferation of Microsoft Excel and spreadsheets, financial planners and their administrators have laboured to produce forecasts based on their clients’ circumstances and aspirations. However, the obvious flaws with this approach – such as human error, the difficulty in bringing a complex spreadsheet to life for clients and the ever-increasing list of variables in calculations – have made the method unreliable and threatened trust between advisers and clients. Like many aspects of life, technology has the potential to improve our experiences and cashflow planning has certainly benefited. Increasingly sophisticated calculations to incorporate life events and the visual display of how these events can impact a plan, can aid conversations about objectives and help clients understand where they’re going and the power they have to influence that trajectory. 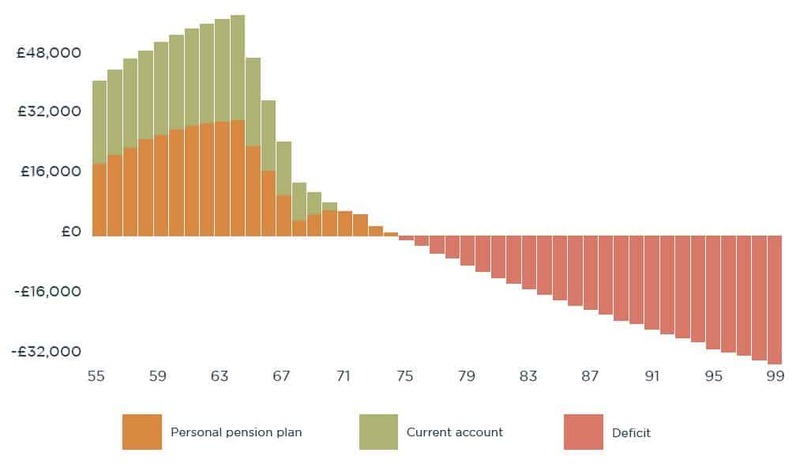 In this example, the client has managed to draw income from their personal pension and current account until the age of 91. 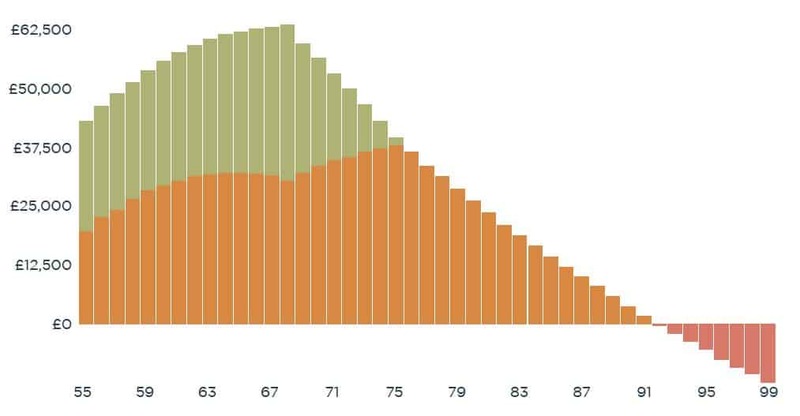 If the client is in good health, 91 is higher than the current life expectancy, so the client might be well set for retirement. In this example, the client only has enough capital to support their lifestyle until they’re 74. An early discussion with this client might focus on moving their retirement age back or making lifestyle decisions to extend the life of their capital, assuming the client is in good health and would like to pass a legacy on to future generations. The facts are that our lives are getting longer and we’re also seeing more ‘significant’ events, including divorce later in life and parents and grandparents looking to help out with property deposits, which can dramatically impact plans. Not to mention taxation and the impact that can have on financial planning. Cashflow planning can facilitate the tough conversations that often come with asking really searching questions to accurately map a retirement journey. For example, when a client says they want to take more holidays in retirement, how expensive will these holidays be? There’s a world of difference between a walking holiday in the Lakes and a month-long cruise in the Caribbean. Advisers need to get to the bottom of these objectives to show how far money goes, and show their clients what is possible. With cashflow planning, this can be plotted on charts and the impact of these contrasting holidays visualised. Cruising the Caribbean could require more saving now, a delayed retirement or sacrifices in other areas to keep the client on track. Maybe no more new cars after a certain age or downsizing a property will become options? Many changes or no change at all? Despite developments in calculations and display, in a sense nothing has changed. I always view financial advisers as wearing three hats. The lifestyle planner. We get to the bottom of who you are and what you want to do by asking searching questions, not just filling out a form. The number cruncher. Once we’ve agreed your objectives and discovered what’s really important to you, we will drill down into what you have now and what might be available to you in the future, as well as your current and future liabilities. The product chooser. Certainly the least important part of our job is choosing the right products for our clients. If we’ve done 1 and 2 properly, this should be very straightforward. It’s important to emphasise that cashflow planning is not rewriting the financial planning rulebook. Your current plans will have been created using the same principles. At the heart of Wren Sterling’s decision to adopt cashflow planning across the board is because we believe it will help us explain our planning decisions to clients and jointly agree a path forward. Making our clients feel empowered and in control of their future is the value we seek to provide from all of our relationships. It’s not completely failproof of course. Assumptions have been made about influential factors including life expectancy and investment growth that may well prove to be wide of the mark, but that’s why a regular review is so important. A review tests these assumptions and allows for recalibrations to reflect market movements or unforeseen events. It can also help with some of the tougher aspects of financial planning, like discussing insurance policies, because one can visualise the impact on investments if the client is out of work for a period of time and how that will affect their quality of life later on. Again, a review isn’t revolutionary, it’s core financial planning. 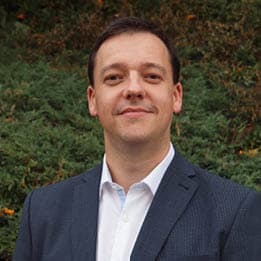 The benefit of cashflow planning, as I’ve discussed during this article, is that it helps to make the conversations around long-term planning easier. It compliments the soft skills of your adviser and links the product recommendations (which is often the final stage in the financial planning process) with the objectives. Your adviser has access to cashflow planning tools, so if you would like to see your retirement planning presented in this way, please get in touch with them directly.